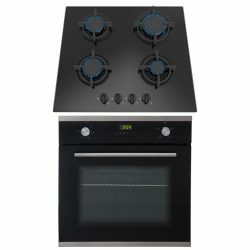 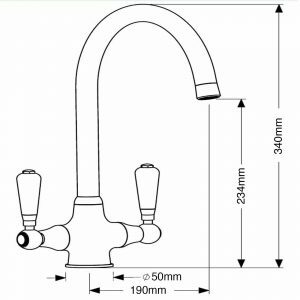 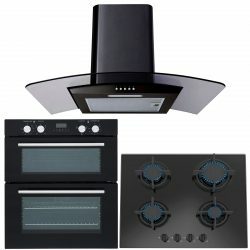 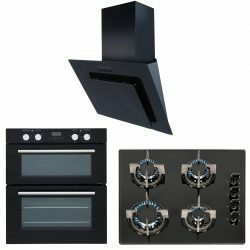 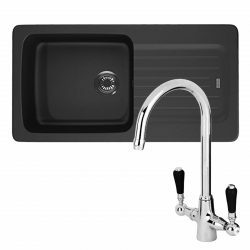 This AVETA15STONE-Brooklyn pack comprises of a stunning Franke sink and a Reginox Brooklyn mixer tap. 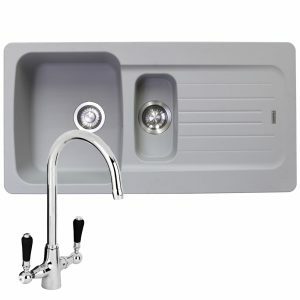 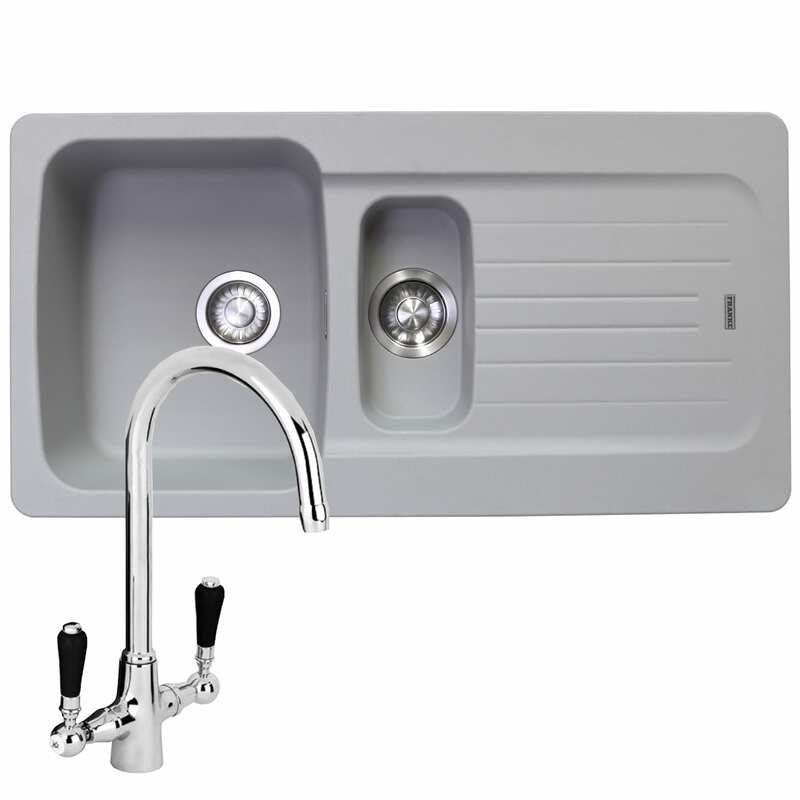 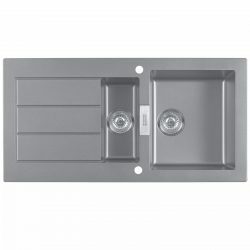 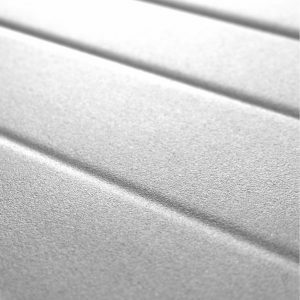 The sink is made from Tectonite, it is hard wearing, durable and resistant to heat, scratches and stains. 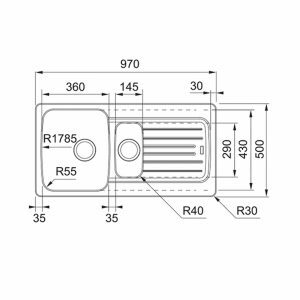 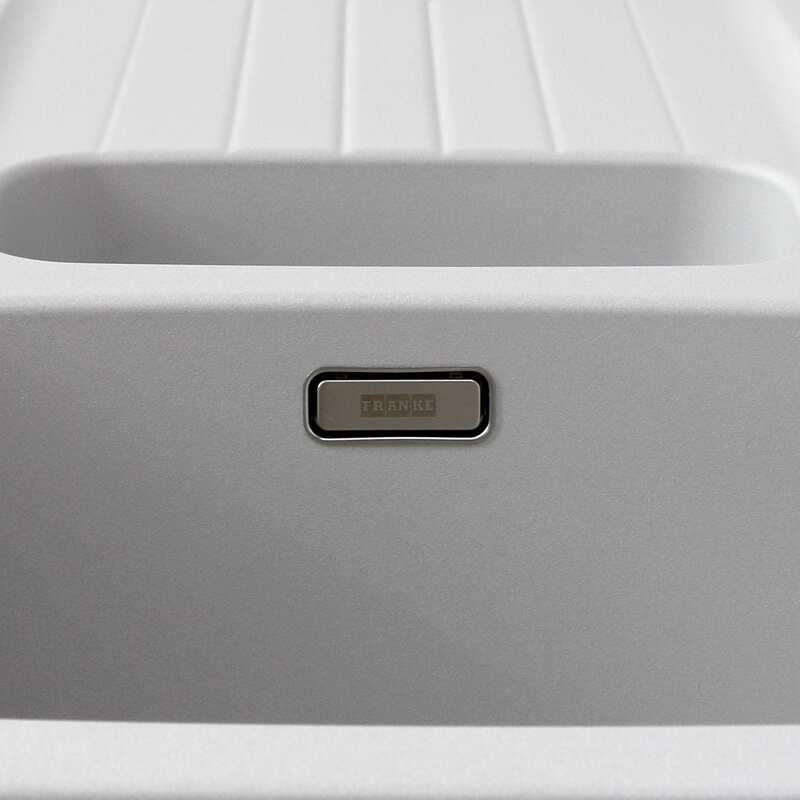 The high resistance to staining, thermal shock and impact is due to the materials used in the sinks manufacture, which produce a strong internal structure. 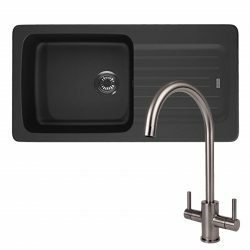 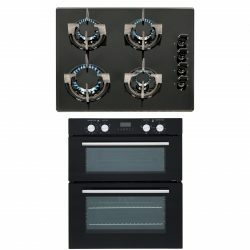 Combined with the Reginox Brooklyn, a mixer kitchen tap with black handles, the modern style ensures that it will blend in nicely with just about any kitchen décor scheme. 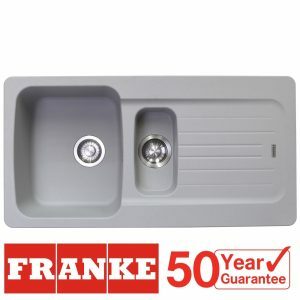 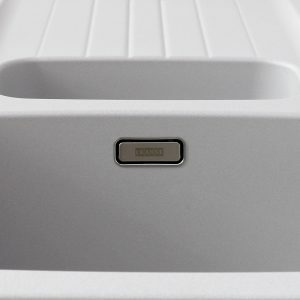 The AVETA15STONE sink comes with a 50 year manufacturers guarantee* so you know you can rely on the quality of the material and workmanship. 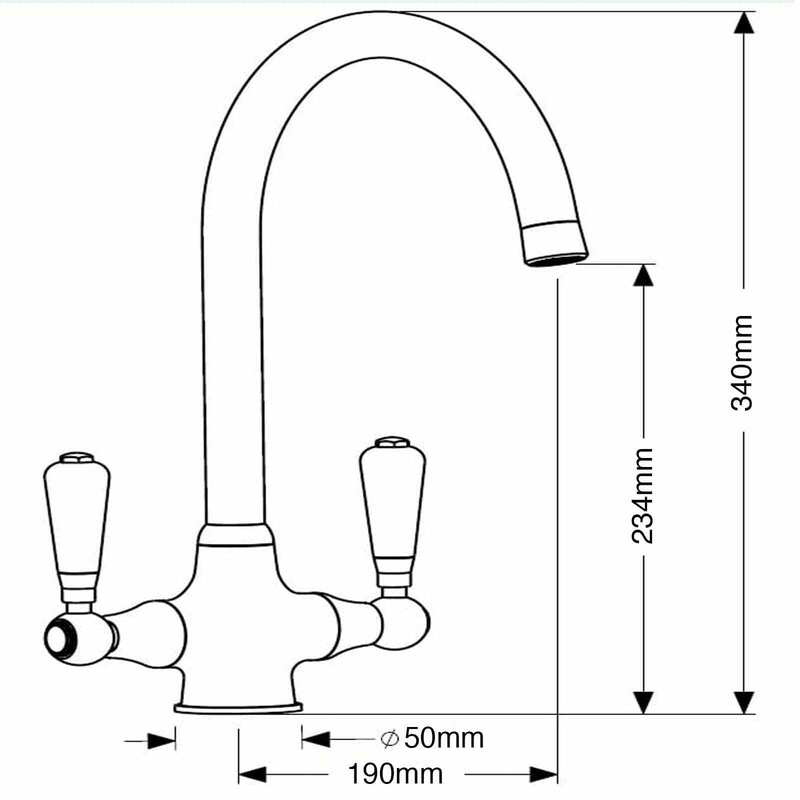 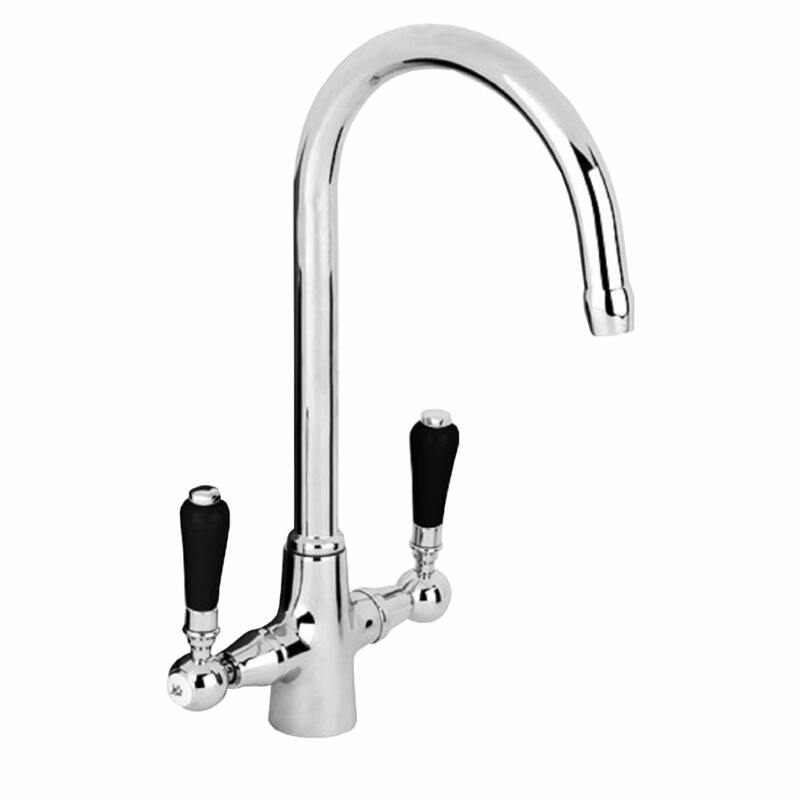 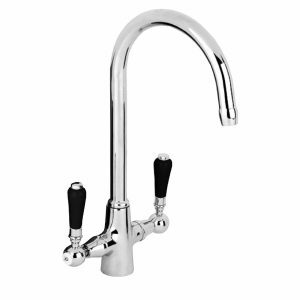 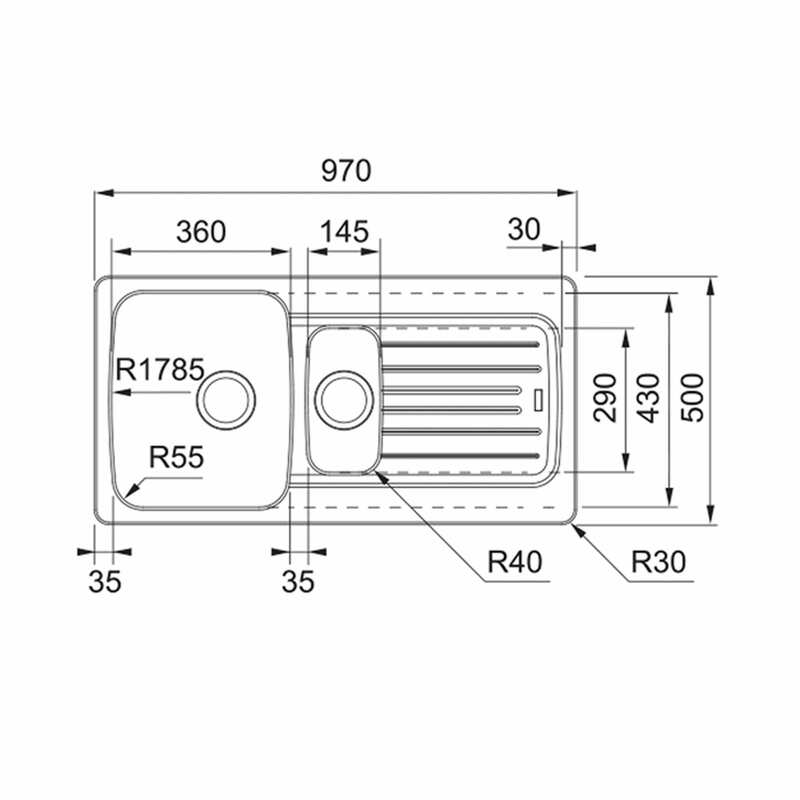 The tap comes with a 5 year manufacturers guarantee on finish and 1 on moving parts. *The 50 year manufacturers guarantee covers the material and workmanship and does not cover accidental damage or issues arising from misuse.